Brighton's As It Is have announced a deluxe edition of their debut album, Never Happy, Ever After, which includes a new song, “Winter's Weather,” and acoustic versions of “Dial Tones,” “Cheap Shots & Setbacks” and “Concrete” (featuring Ansley Newman of Jule Vera). Never Happy, Ever After deluxe will drop April 8. Physical pre-orders are available now, and digital pre-orders will be available starting March 11. Check out a trailer with a clip of “Dial Tones” acoustic, tracklisting and new cover art below. Pop-punk five piece As It Is released their debut album in April of last year via Fearless Records. 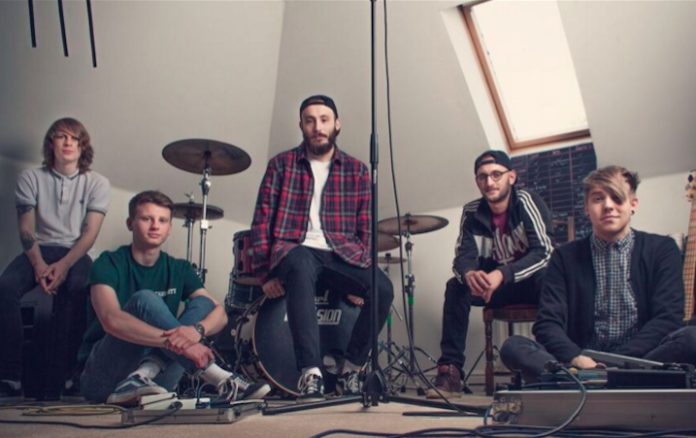 After being named one of AP's 100 Bands You Need To Know for 2015 and opening for the most recent AP Tour, As It Is are currently on tour in the UK supporting Sleeping With Sirens.